It petrifies the opponents pokemon and they take 50 damage for every turn their paralised. 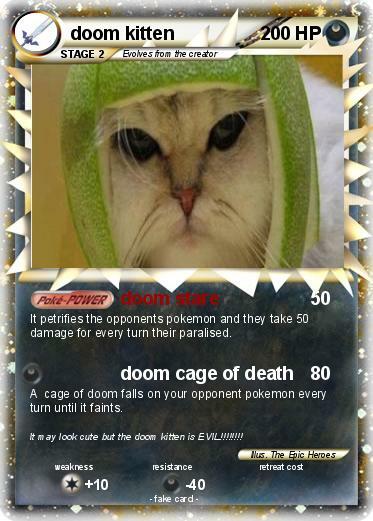 A cage of doom falls on your opponent pokemon every turn until it faints. Comments : It may look cute but the doom kitten is EVIL!!!!!!! !